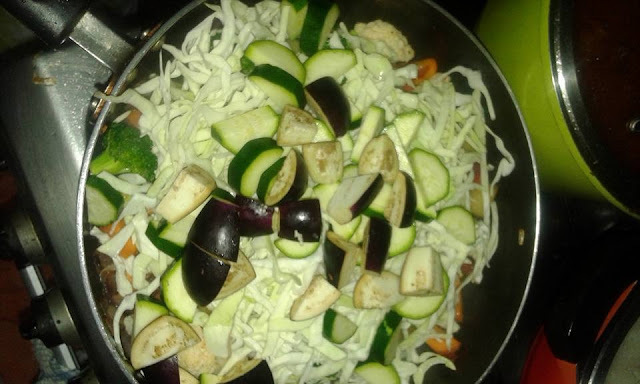 Make this colorful, healthful salad with whatever you have available - the recipe is only a guide. 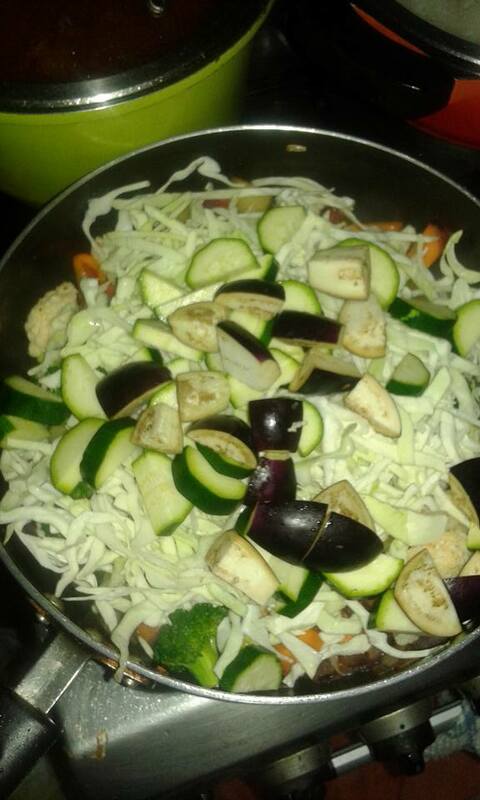 Use other vegetables in addition to or in place of the ones listed. 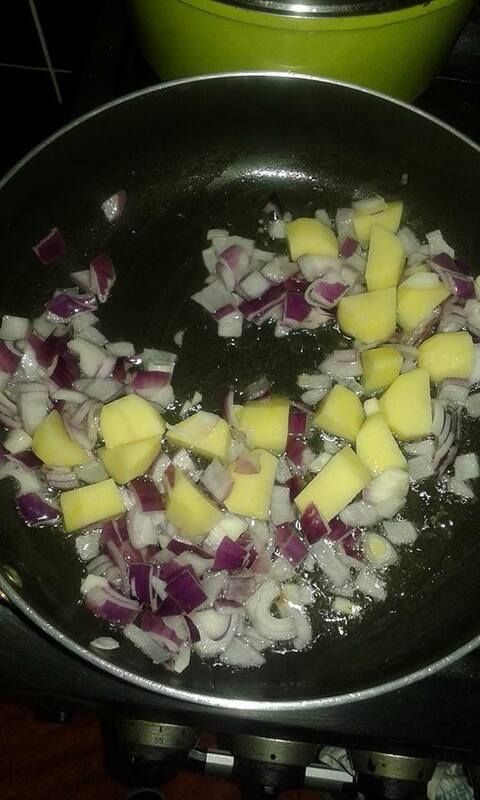 Step 1 - Add onions to already boiling cooking oil in a pan and the well cut potatoes. 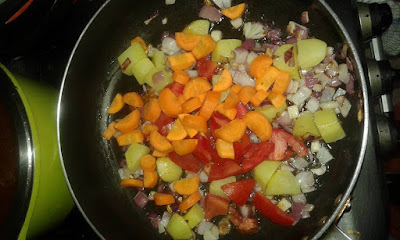 Step 2 - Add tomato and carrots and mix well. 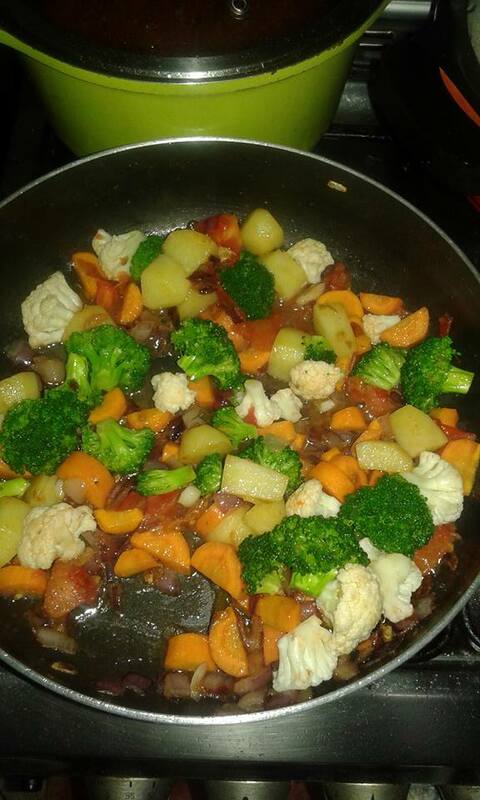 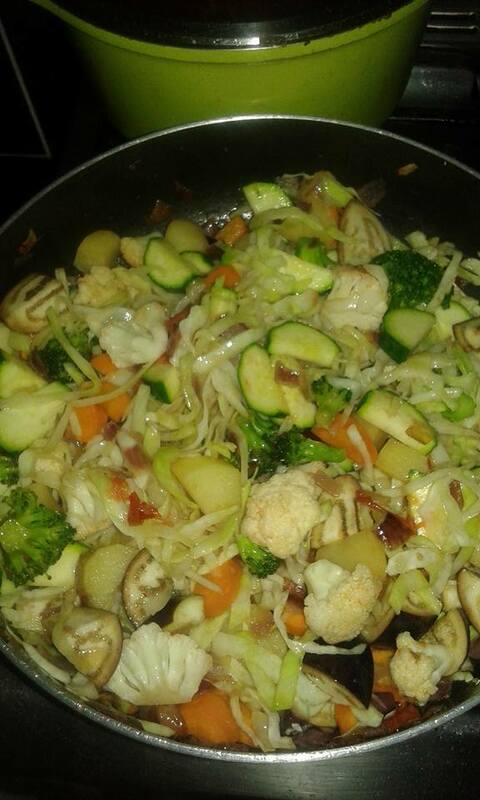 Step 3 - Add broccoli and Cauliflower and then mix.